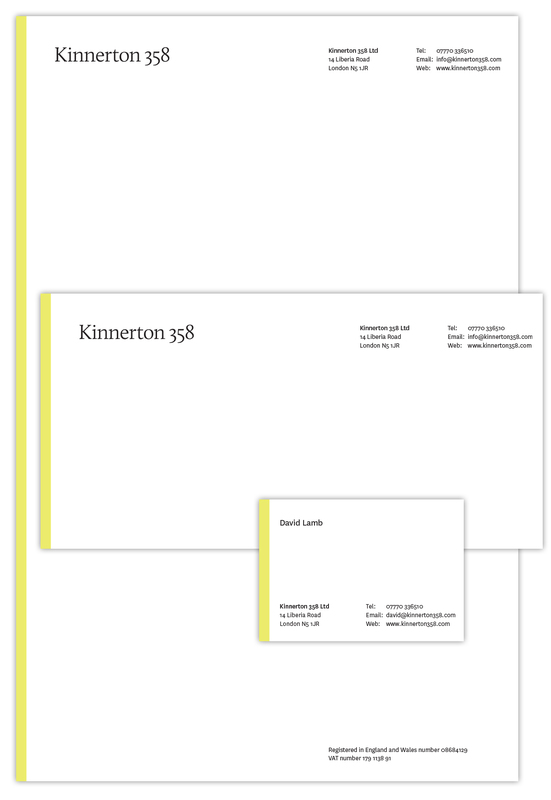 Kinnerton 358 was the telephone number that branding guru David Lamb had growing up in Wales. So when earlier this year he decided to become a consultant he decided to use that as the name of his business. David approached us to make this instantly memorable name into an identity, yet not a brand or a logo. So we put together a rather lovely piece of typography but… it needed something else to stand out. 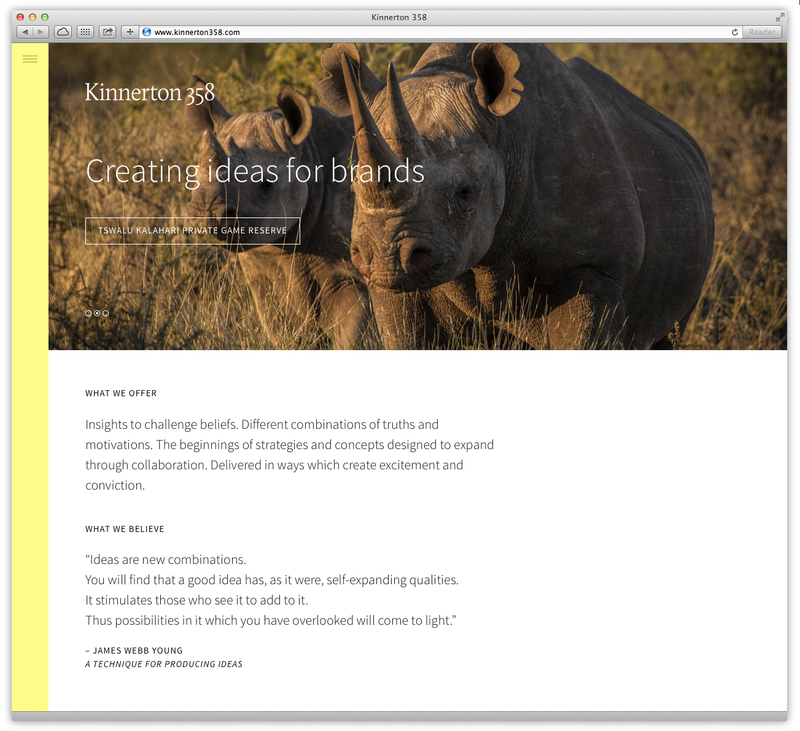 Rattling out a few words for a consultancy brand design project wasn’t enough. And that’s where the yellow came in. The website itself looks great – it’s got some fantastic photos on there (especially from Tswalu Game Reserve in South Africa), is full of information and copy heavy yet never seems overwhelming. Overall I think this project works really well and in particular is a great example of how information-dense websites can be clear and readable.